General Function Introduction B04 stand alone access controller is a device combined the most advanced chip technology and mechanics of communication. User can connect the controller with one reader for entry and one button for exit; also it allows to connect one reader for entry and one reader for exit to realize more safer door access control request. Language User can switch the language of the management/control interface between Chinese and English freely. CPU It adopts 16 bit CPU and can provide fast,stable,convenient and simple operation platform. We adopt 16bit CPU in this device to ensure fast arithmetic speed, and to establish a high tech platform for future expansion functions. User can manage and control the hardware through any piece of computer via network cables, and even realize remote unlocking, remote management, remote monitoring of the door status through internet. The device can store 100 000 records. This device allows user remote monitor the door status with the help of door sensor, and can remote unlock the door via computer. Humanization Compared to standard stand alone access controller (without LCD), this device can show you the card user \' s name, department the user belongs to; it supports vague search with card number and card user name, and supports event buffer records checking. 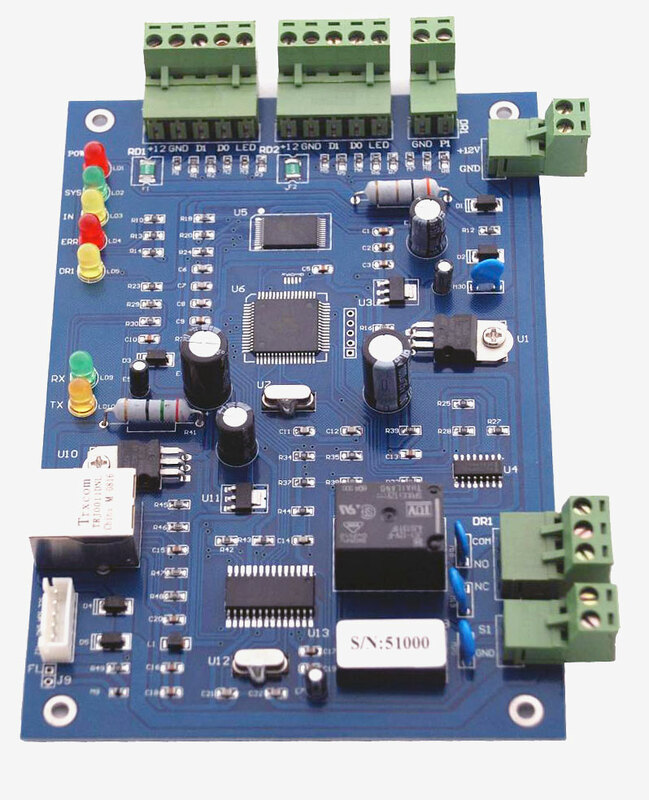 In cases that there are many card users, this function would be more convenient than standard stand alone access controller. Affordable This device is priced between standard stand alone access controller and networked access controller. Safe Compared to standard stand alone access controller, this device separates the reader and the controller to individual parts so to realize higher safety request of your customer. Login user name and password are revisable. Stability Wrong connection of reader or data cable will not destroy the device or unlock the door illegally. Compatibility This device is compatible with all RF reader which is with any type of Wiegand stantard communication format available in the market. It supports at most 8 groups of password. User can name for each group of password. WGJXDY-03 Power supply and case The power supply can support the controller, reader and one to two additional electronic locks.It has charge-discharge function. If connect with standard 12V 7AH storage battery, when power cut, it can ensure the door access control system work properly. you can buy it from this link. we will send it with controller together.